Learning how to stretch and expand your child's vocabulary can greatly improve their language development. 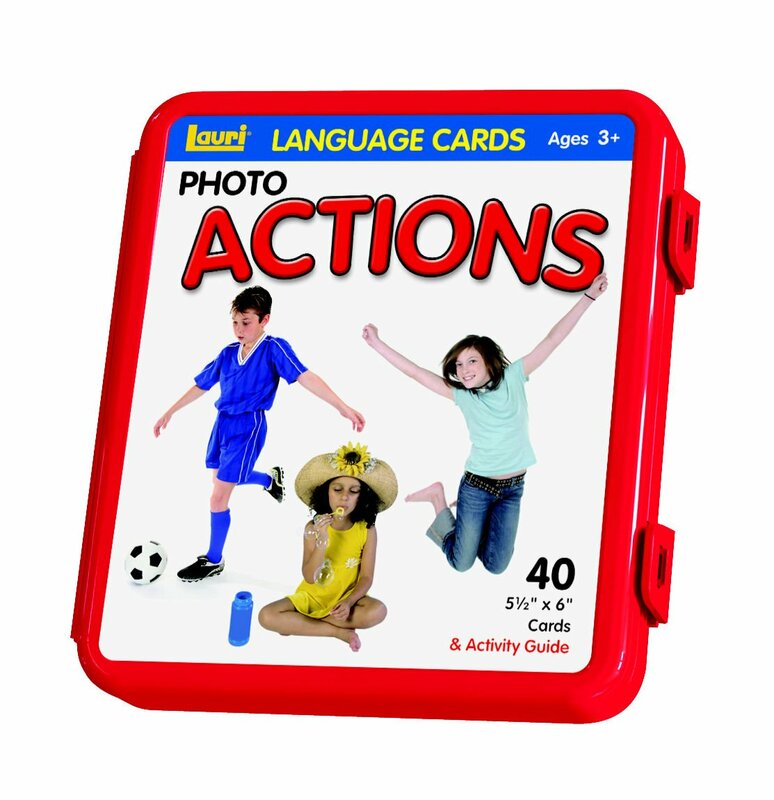 Here are five strategies to use with basic photo cards to expand your child's vocabulary. First off, you will need to gather your materials. I am NOT affiliated with any of these products, but have bought and use them with my 2 year old. You do not need any of these and there are LOTS of options, but what I like about these are that they are crisp photos, large in size, and have minimal distractions in the background so this helps keep my son's attention a bit longer, and it would take me a long time to gather photos of this quality and likely for more money. Each of these boxes of cards have at least 40 cards. 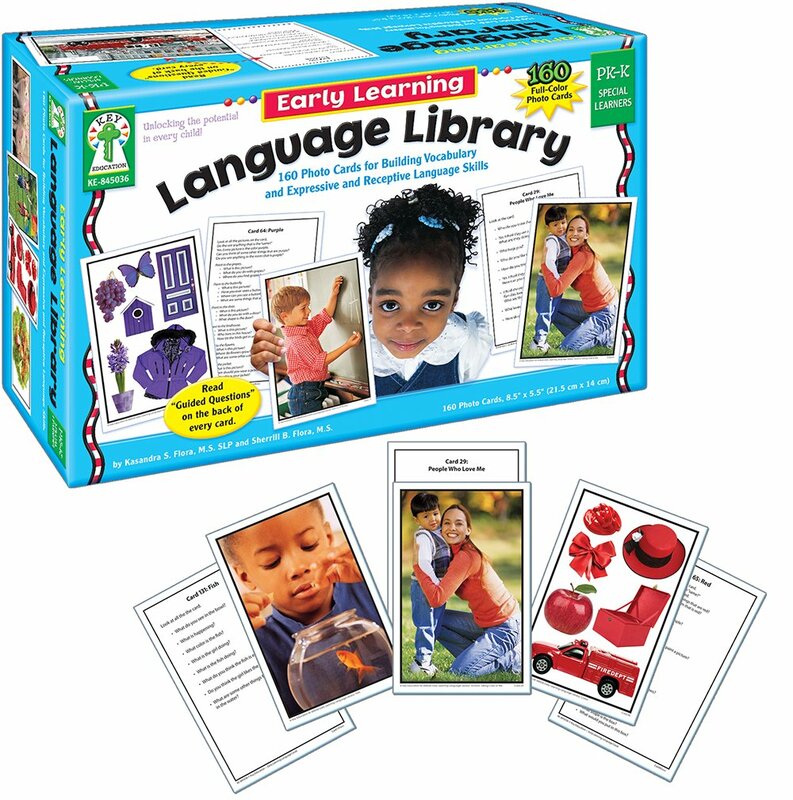 Some are as basic as a photo of a bed or a banana, but others are much more complex like the ones in the Language Library pictured above or specialized like a thimble or watering can. For English Language Learners this is called BICS (Basic Interpersonal Communication Skills) vs. CALP (Cognitive Academic Language Proficiency). In simple terms the difference between these two are just that, language you need to communicate at a basic level vs. academic language that is needed to succeed in academic settings. I would choose words that your child NEEDS in his or her vocabulary to communicate at the most basic level. These words might be foods that your child likes, basic needs like hungry or dirty diaper, or things that he sees in his daily life like crib or table. Once he or she masters those, then move on to more complex concepts like the idea of sliding down the slide or people's emotions like sad, mad, etc. Before beginning, I would order these cards by level of importance. The ones you really want them to learn on top and the others below with the hardest ones on the bottom of the deck. This makes it easy to pick up where you left off. I recommend that you pull out 5 to 10 cards at a time. 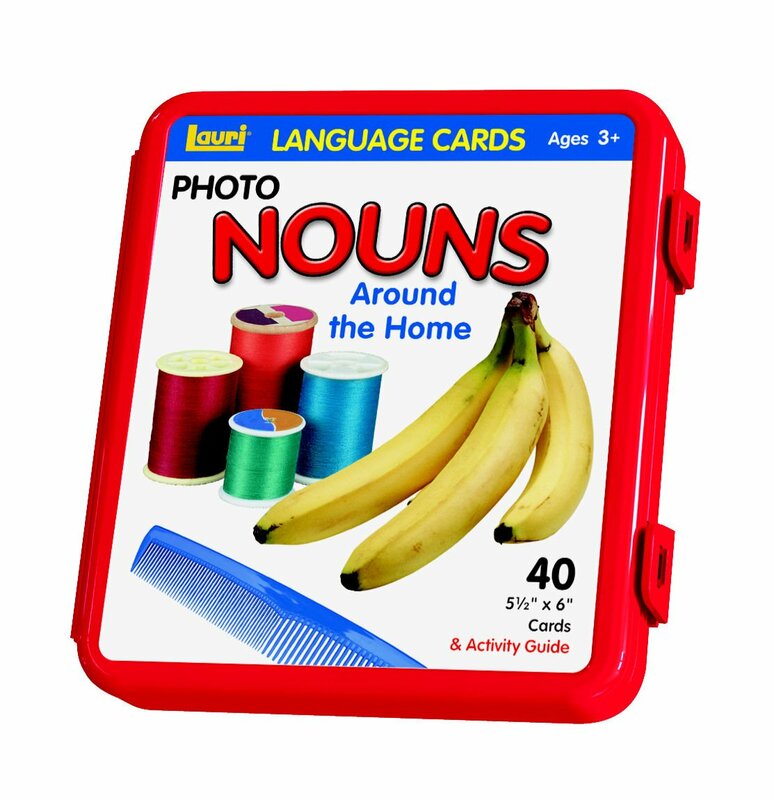 You can mix nouns and verbs or just do in isolation, but focusing on just a few will keep from overwhelming your child. I want my son to look at the photo and tell me the word that best names that photo. Make sure to give them adequate time to respond by waiting at least 3-5 seconds before asking or prompting again. Children need time to process what they are seeing and then dig through their mental file cabinet to find what it is exactly they want to say. If we jump in and interfere, this often creates a behavior you don't want where the child will just wait for you to say the word and then they will just agree by nodding. When working with your child, after your child responds (or doesn't) make two piles. Ones that he or she knows with automaticity and ones that are not yet mastered. Work until your child looses interest and wants to move on to another task. When you return the cards to the box, put the ones mastered on the bottom of the deck and the ones that you need to revisit on the top. That way when you work with these cards again, you can quickly pull out the ones you need. Initially, it is best to simply ask, "What is this?" Then I move to putting five cards on the floor and asking the child, "Can you pick up the card that shows ____ and put it in my hand?" These are very low level thinking (according to Bloom's Taxonomy) and fall into the remembering category. This is important as it is the base for understanding and applying. To expand on this, show the child five cards and ask the child to find the picture that shows something you would use to _______. For example, you might show a banana, a lamp, a watering can, a hose, and a crib. Then ask the child to identify which card shows something you could use to water the plants on the patio. Once they pick one, ask if there is another item that could be used. This stretches their thinking a little bit. Hearing a model of language is soooooo important, so while your child may give an approximation, it is important to repeat what the answer is correctly and then ask the child to echo what you said. With time, this will become their normal. You want your child to practice correctly and while they may not developmentally be ready for some sounds, it is important to model correct speech and then have them practice again. You don't need to say it is wrong, but rather just acknowledge that you know what they are trying to say, this is how you say it, now try again. It is important to build vocabulary in isolation, but ultimately you want your child to incorporate these new words into short phrases and then ultimately sentences. Once they start to add new words to their vocabulary, start encouraging them to combine the words using carrier phrases like "I see..." or "I want...." or "I need..." or making simple subject + verb sentences like "boy plays" or "I read." 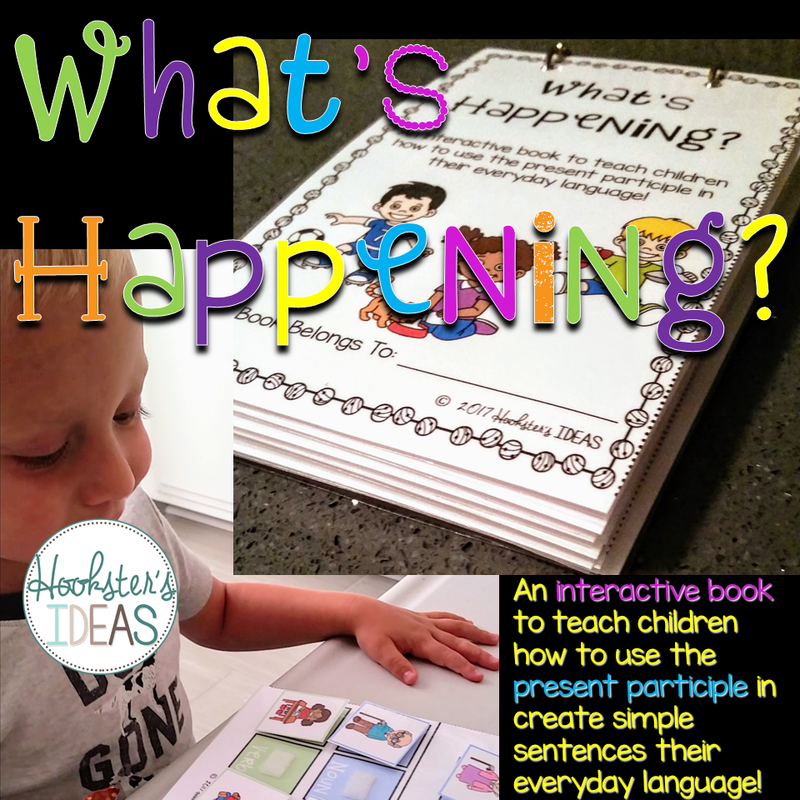 A great resource for this is the What's Happening Interactive Book.